In an era where one’s soul can be morphed into a weapon, there are modern day magicians called ‘Mage-knights’. 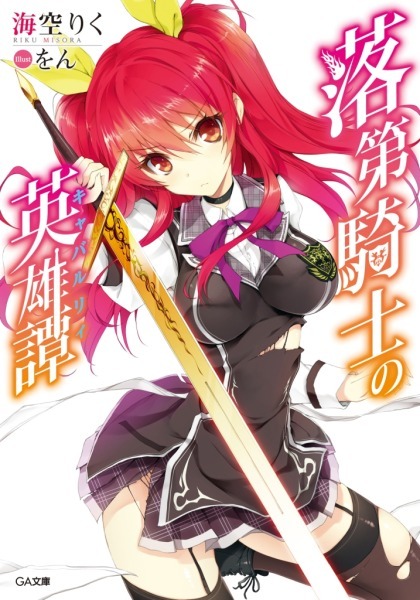 Kurogane Ikki, labelled as the <Failure Knight/Worst One> is a student with particularly no talent in magic attends an institution that trains Mage-knights. Getting way less than average marks in the scorings, he was forced to repeat a year. But with the arrival of a new chairman (or was it principle?) of the institution, a new rule was created, that compatible knights (ability wise) decided by the board must share rooms and attend practice/training together throughout the school years to bring up their abilities to the max. A rule to implement the absolute verdict of ability. 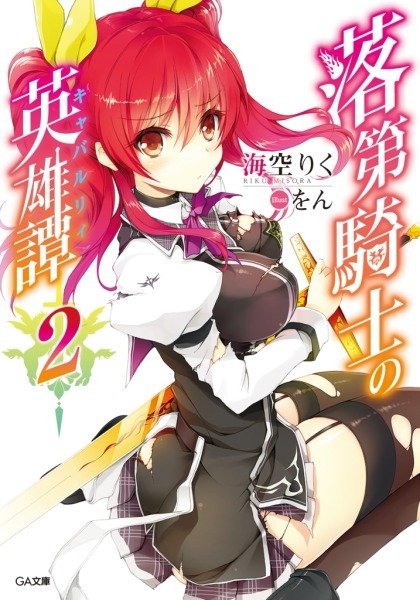 By a weird (or rather expectable) turn of events, Ikki’s roommate turns out to be a princess of another foreign country called Stella Vermillion. 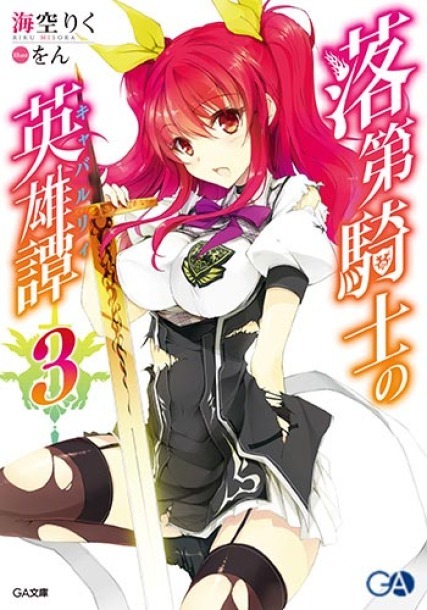 Stella is a <Rank A> knight and a genius in magic who is said to only appear in a decade. ‘Walking in on her’ while she was changing her clothes caused a huge misunderstanding (since none of the sides yet knew of the new rule) which eventually ended up in a duel between the two of them. The punishment (or rather, the prize) of the loosing side is ‘Eternal Submission’ to the winning side. The story centers around Stella and Ikki’s cohabitation. Developments and failures, all the while their relationship turns sweeter and sweeter. of course , chapter 1 is great . cloud was looking for TL for it, but well Underdog managed to get one before he did. Looks interesting. But... why are her knee socks torn on all the covers? By the way, when will the TL begin on BT? First chapter was great the mc is really cool. you are interested TL-ing this too setsuna? edit : there should be a synopsis in BT forums if you are interested. Typical weakest boy defeating strongest girl. The originality is VERY weak in this one. currently reading ch 1. thank u for the introduction. 2. Most believe red head will easily win but its not quite true. Later on I bet girls will flock to MC as well and that creates the harem. For the time being, I already have Madan and Gakusen which I translate. And I said that my limit is three series. So I'm looking for another serie to translate. There are already two propositions. Regarding that, look for the details in my blog. The covers are STB style. So the MC can apparently multiply his physical abilities for a limited time. Sounds a lot like Ayato from Gakusen. Is that supposed to be impressive? The limited is a real turn off. Protagonist looks good. He walks in on the heroine naked and DOES NOT have the "usual" reaction like most harem MCs. Instead, he decides to get naked too for the sake of fairness. No blushing, thank God. Well, he needs some kind of disadvantage. That said, all it does is give him the ability to damage people whose aura is too high for his normal strength. He actually beat her by using her own sword skills against her, but couldn't slice through her shield. Weakest beating the strongest. This guy sounds like Touma. Warning: The sister in this novel is yandere(almost Yuno class) please steel yourself before attempting this book.